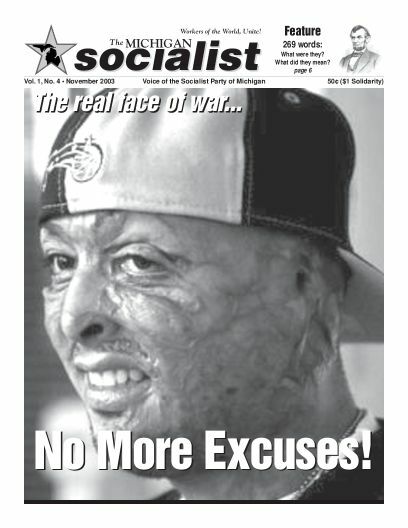 The Socialist Party of Michigan condemns in the strongest possible terms the expulsion of Glasgow MP George Galloway from the Labour Party of the UK. Galloway was expelled for calling on British soldiers to refuse orders to fight in Bush and Blair’s war of aggression against Iraq. His inquisitors also brought up the fact that he had said that the governments of Bush and Blair had fallen on Iraq “like wolves.” We regard that as something of a polite understatement, given the fact that this war has involved dropping cluster bombs on densely populated urban areas, indiscriminate shooting of Iraqi drivers who don’t slow down fast enough when they approach US/UK roadside checkpoints and numerous other outrages against the civilian population. All of this has been done for the sake of regional control, oil privatization, Hailburtun reconstruction contracts and what our rulers call Iraq’s “transition to a free markey economy.” In other words, it is a typical war, made in the interests of the master class but fought by workers in uniform. While Galloway is not and does not claim to be a revolutionary socialist, he was absolutely right to call on British soldiers to refuse to fight this war. We also call on American soldiers to refuse to spill the blood of their Iraqi fellow workers. Anyone who believes in what Eugene V. Debs called “the brotherhood of the human race” should refuse to serve in the plutocrats’ war. The expulsion of Galloway is further proof that Blair’s Labour Party is anything but a genuine political instrument of the working class, a real labor party. We cannot and will not pretend that it is somehow a fraternal organization. 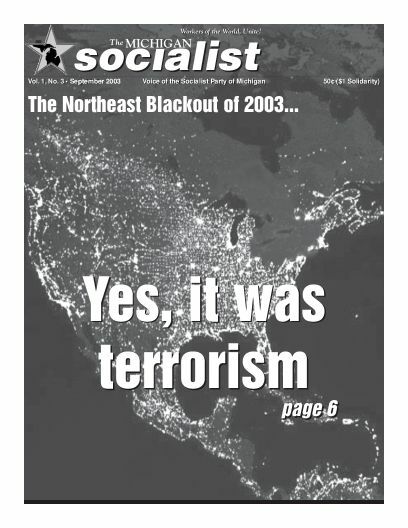 Rather, the Socialist Party of Michigan expresses its solidarity with those in Britain – the Scottish Socialist Party, the Socialist Alliances of England and Wales and others – who are making an independent stand against the war-makers and for the emancipation of our class. Support the Boycott of Borders Group, Inc. Since Saturday November 8th, workers at the Ann Arbor Borders have been on strike. Despite the fact the Borders corporation made $125 million dollars in profits last year, it still refuses to to pay its workers a living wage or negotiate a fair contract. 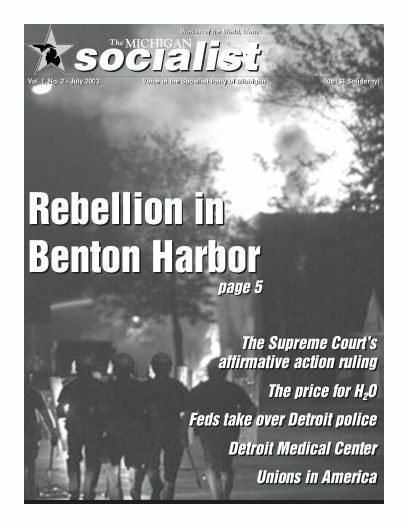 The Socialist Party of Michigan officially endorses the union’s call for a boycott of all Borders, Walden Books, and Amazon.com for the duration of the strike.